Meridian Generic Rail Limited is an Engineering serviced based company that was established in March 2007 and has been trading and providing services to the Rail Industry for over 10 years. Throughout this time the company has been involved in some prolific industry related projects and has achieved success in delivering all tasks with efficiency and pride to a specified budget on time. Meridian Generic Rail has become an approved supplier with many Train Operating Companies in the UK, including First Group – which contains Operators including GWR, First Capital Connect, Hull Trains and TransPennine Express. Meridian is also an approved supplier for Abellio and ScotRail and Arriva Group which includes Chiltern Railways, Arriva Trains Wales, Arriva Cross Country and Grand Central. Meridian also consults and is an approved supplier to Freightliner Limited which is the UK’s second largest Freight Operator. Over the years Meridian Generic Rail Limited has provided services to all of the named Operators by either providing Engineering Design services – mainly designing Electro-Mechanical interface designs to facilitate the vehicles to be modified in an approved manner for new equipment, and or we have provided services to actually install new technologies and test and commission this new equipment across many varying forms of vehicles. Recently we have worked on Class 66 Locomotives, Class 334, 390, 458, 385, 395, 376, 375, 357 EMU’s, Class 165, 168, 158, 150, 142 and 143 DMU’s as well as DVT’s. 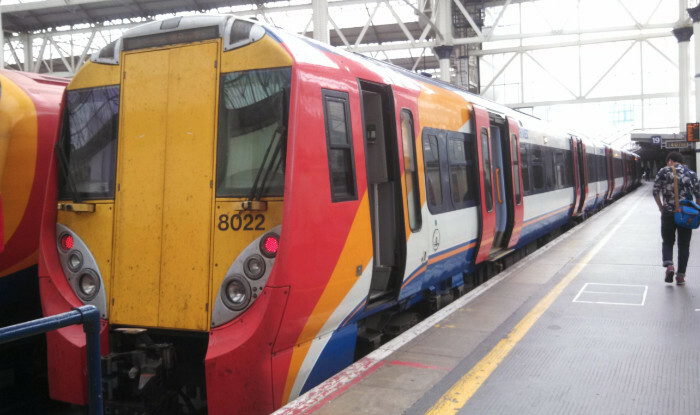 These are all core working vehicles within the industry – some Diesel Multiple Units (DMU) and some Electrical Multiple Unit (EMU). Meridian Generic Rail Limited was the first and only company to date to design an Engineering Interface to Retrofit an Energy Metering System together with a Driver Advisory System and this was not only designed but fitted by Meridian Generic Rail in 2013 to the Class 334 fleet in Scotland for Scot Rail Limited. The project was separately assured by Lloyds Register Rail and is the only one of its type in Europe to date. Currently, we have other contracts in place for “innovation works” with Abellio Scot Rail Limited on Class 170 and Class 334 Trains in Scotland.